Channel 4 will soon screen a new quiz show based on Zynga's Draw Something. According to MCV, Sony Pictures Television and Victory Television have signed up to bring the series to Channel 4. Sony Pictures Television will fund the show, while Victory Television will produce it. The show has been made with input from Draw Something owner Zynga. According to reports, the show will pitch two teams against one another. Each team will have one celebrity and one member of the public. The teams will compete against each other over three rounds of drawing challenges against the clock. The member of the public from the successful team will then join forces with both celebrities in the final round. If they win, the member of the public will walk away with a cash prize; fail and the money is rolled over to the next show. "We're very excited to work with Channel 4 to produce a brand new show inspired by one of the biggest hits in app history to date," Victory Television MD Victoria Ashbourne told MCV. "There's a creative side to everyone, sometimes more obvious than others, and the show will really tap into that with a race against the clock and plenty of humour." 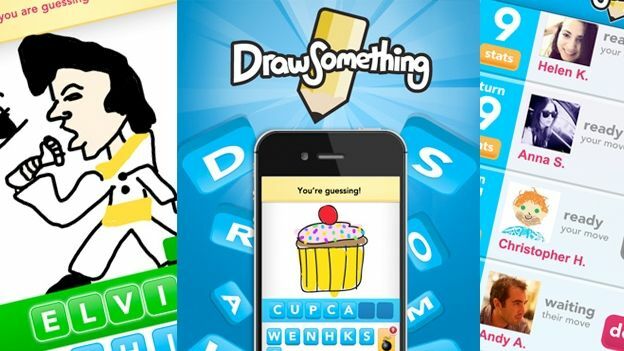 Draw Something has been downloaded on both Android and iOS devices over 20 million times. In March 2012, Zynga bought the game and its developer OMGPOP for $180 million.